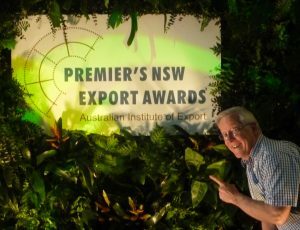 I’ve had a lot of fun over the years as a Master of Ceremonies and Facilitator for conferences, launches, awards presentations and special events. It’s all about helping you achieve the business goals you’ve set for the event, while keeping your people awake, engaged and focused. From facilitating serious discussions about controversial issues, or running a creative thinking workshop, right through to serving as a light-hearted MC at a Gala Dinner, I can help you get the results you want. I pride myself on being able to switch from funny to formal and back again, as the mood and nature of the event require. 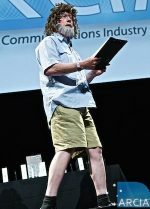 For example, at a Gala Dinner or Awards Night, my first appearance is often in a crumpled shirt and shorts, as David Attenborough’s long lost brother, Bruce, who delivers a hilarious routine about the evolution of your organisation. At many evening events, my first appearance is during pre-dinner drinks as a bogus waiter, who is actually the venue’s ‘gardener’, hastily brought in to help out as catering is short on staff. 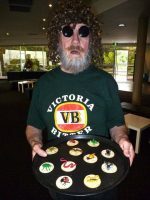 He circulates with a tray of (fake) bush-tucker sourced from the garden. The aim of this role is to serve as a light-hearted, welcoming ice-breaker, and I mainly interact with individuals or couples who are by themselves and seem a little ‘left out’. Some friendly banter quickly puts them at ease. At a lengthy conference, what people need most, in between business presentations, is a mental or physical breather. I can provide that through short humorous routines and stretch breaks. Facilitate a workshop to open delegates’ minds and explore future possibilities. Also, when appearing in the role of MC or Facilitator, I’m sometimes asked to contribute in other areas eg as a Speech Writer, Presentation Skills Coach or Keynote Speaker. As MC, he is very professional, respectful and energetic, with a good sense of humour. George’s professionalism and credibility are also obvious during the first few minutes of his after dinner speech. But gradually that credibility gets stretched to breaking point, as his presentation goes off on all sort of tangents. And some of his ideas and opinions don’t seem to stack up. The result is that, for most of George’s speech, the audience is roaring with laughter. To hear some of that laughter right now, listen to the audio clips below and watch the video clip. After the hoax speech, I reveal my true identity, and any further MC duties are conducted as myself. Now enjoy the video and audio clips on this page, then see how my hoax and MC work can also be combined with a product launch or a genuine keynote on creative thinking: ‘Uncork your Creative Genie’. When you engage me as your MC/Facilitator, you don’t just get the basics. You also get full and free access to my repertoire of comedy routines, business insights and video clips. This first clip is a humorous one I show to audiences concerned with sustainability. The second clip suits audiences wanting to understand the gradual transition towards non-patriarchal organisations and leadership styles. This transition is something I explore more deeply in my keynote, Pozzy to Cozzy: Freeing our Planet from Patriarchy.